Alan Louis Charles Bullock, Baron Bullock (December 13, 1914 - February 2, 2004), was a British historian, who wrote an influential biography of Adolf Hitler and many other works. Bullock was born near Trowbridge in Wiltshire, England, where his father worked as a gardener and a Unitarian preacher. He won a scholarship to Oxford University, where he studied classics and modern history. After graduating in 1938, he worked as a research assistant for Winston Churchill, who was writing his History of the English-Speaking Peoples. During World War II Bullock worked for the European Service of the British Broadcasting Corporation. After the war he returned to Oxford as a history fellow at New College. He was the founding master of St. Catherine's College, a college for undergraduates and graduates, divided between students of the sciences and the arts. He was credited with massive fundraising efforts to develop the college. Later he was the first full-time Vice-Chancellor of Oxford. In 1952 Bullock published Hitler: A Study in Tyranny, the first comprehensive biography of Hitler, which he based on the transcripts of the Nuremberg Trials. This book dominated Hitler scholarship for many years. The book characterised Hitler as an opportunistic "power politician". In Bullock's opinion, Hitler was an “mountebank”, an opportunistic adventurer devoid of principles, beliefs or scruples whose actions throughout his career were motivated only by a lust for power. Bullock's views led to a debate with Hugh Trevor-Roper in the 1950s who argued that Hitler did possess beliefs, albeit repulsive ones and that Hitler's actions were motivated by them. Bullock's Guardian obituary commented that "Bullock's famous maxim 'Hitler was jobbed into power by backstairs intrigue' has stood the test of time." When reviewing "Hitler: A Study in Tyranny" in The Times in 1991, John Campbell wrote "Although written so soon after the end of the war and despite a steady flow of fresh evidence and reinterpretation, it has not been surpassed in nearly 40 years: an astonishing achievement." Later, Bullock to some extent changed his mind about Hitler. His later works show Hitler as much more of an ideologue, who pursued the ideas expressed in Mein Kampf (and elsewhere) despite their consequences. This has become a widely accepted view of Hitler, particularly in relation to the Holocaust. Among Bullock's other works were The Humanist Tradition in the West (1985), and The Life and Times of Ernest Bevin, a three-volume biography of British Labour Foreign Secretary Ernest Bevin, who had a similar background to Bullock. He was also editor of The Harper Dictionary of Modern Thought (1977), a project he suggested to the publisher when he found he could not define the word "hermeneutics". In the mid-70s Bullock used his committee skills to produce a report which proved to be influential in the classroom, about reading and the teaching of English A Language for Life was published in 1975. 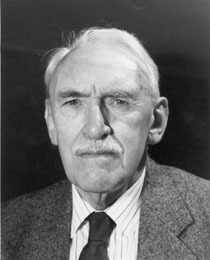 Bullock was a life-long supporter of Labour and his moderate socialist views influenced his historical works. In the 1970s he served on a commission appointed by a Labour government on worker participation in company management. The resulting report received some support but also some trade union opposition. It was never implemented. Late in his life Bullock published Hitler and Stalin: Parallel Lives (1991), a massive work which compared them and also the lives of Bullock's generation. He showed how Hitler and Stalin's careers to some extent fed off each other. American historian Ronald Spector, writing in The Washington Post, praised Bullock's ability to write about the development of Nazism and Soviet Communism without either generalization or excruciating detail. "The writing is invariably interesting and informed and there are new insights and cogent analysis in every chapter," he wrote. Bullock was knighted in 1972, becoming Sir Alan Bullock and in 1976 was made a life peer as Baron Bullock, of Leafield in the County of Oxfordshire. His writings always appeared under the name "Alan Bullock." Alan Bullock has been quoted as saying : "Oxford is full of ugly people. St Catz will change that, and show the world that cleverness and beauty go hand in hand." (1962). - *Rosenbaum, Ron Explaining Hitler : the search for the origins of his evil New York : Random House, 1998 ISBN 0679431519.